Air pollution is now recognized by the World Health Organization and the United Nations Environment Program as the world's single largest environmental and human health threat. As sensors and handheld electronics have become part of the fabric of our cities, the potential of a network of moving sensors for monitoring urban air quality in real-time is explored in this research initiative. Urbanisation is a global concern due to the environmental and human health challenges that it brings, not least the increasing number of people contributing to and being exposed to air pollution. It is estimated that ambient air pollution leads to approximately 3.7 million premature deaths annually, with South-East Asia and the Western Pacific Regions exhibiting the largest air pollution-related health burden. On an urban scale, air quality has typically been measured using sparsely located yet highly accurate monitoring apparatus. These are expensive to set up and run, and only yield data in low spatial resolution. Low spatial resolution of such environmental data hinders novel applications, such as urban air-pollution mapping and localization, adaptive traffic regulation, and detailed exposure measures for both personal and population exposure studies. As a result of these limitations, pervasive (or ubiquitous) air quality sensing i.e. using a larger number of smaller sensors in space, has gained traction in recent times. The primary aim of this initiative was to conduct an exposure study. Another objective was to demonstrate the collection, aggregation and storage of air quality and meteorological data from the network of moving sensors, using an appropriate architecture for this purpose. A third technical challenge was to demonstrate the display of data collected by the monitoring network on a web application in real-time. An air quality monitoring campaign was conducted at Jurong East in Singapore. 40 participants were recruited to conduct air quality monitoring using sensors and smart-phones. Daily trials were conducted for 10 successive days in April 2015. 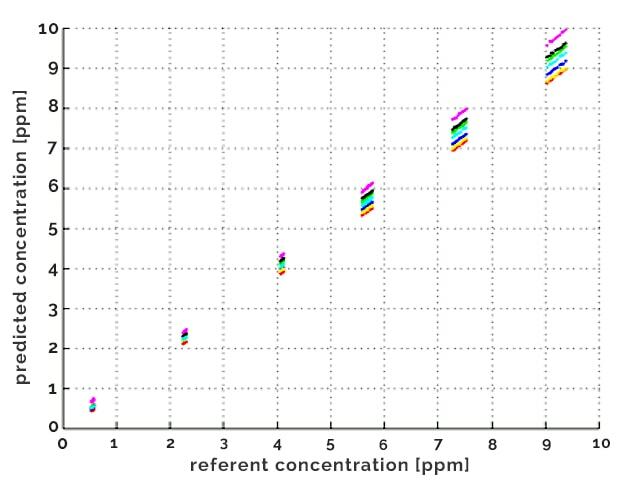 Nitrogen dioxide (NO2), carbon monoxide (CO), relative humidity (RH), temperature and pressure were measured every 20 seconds, along with their corresponding location. Each smart-phone had an application installed on it for receiving data from the sensors (via bluetooth) and subsequent publication of the data to a server over the internet. An appropriate network architecture was set up to transfer data from the smart-phones to a cloud platform, and then to a local server. 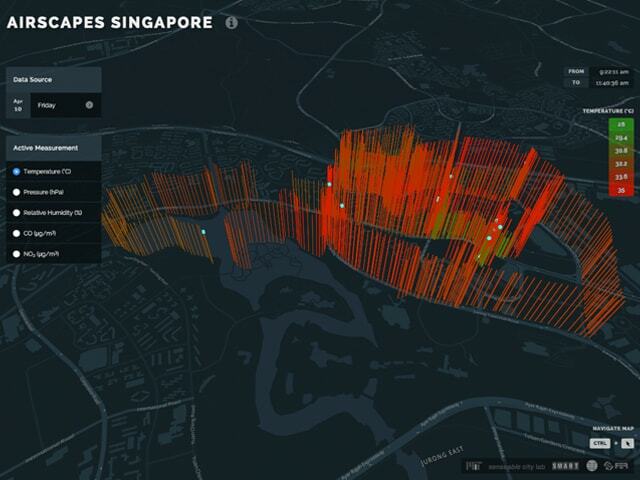 A web application was developed and this displayed the collated air quality and meteorological data in real-time on it. Spatial distribution of data collected for one daily trial. Design including the following: electrochemical gas sensors AFE with two gas sensors (A1-Alphasense), instrumentation board housing the temperature, humidity and pressure sensors, sigma-delta ADC, power supply, battery, Texas Instruments EZ430-RF256x microcontroller and communication board. 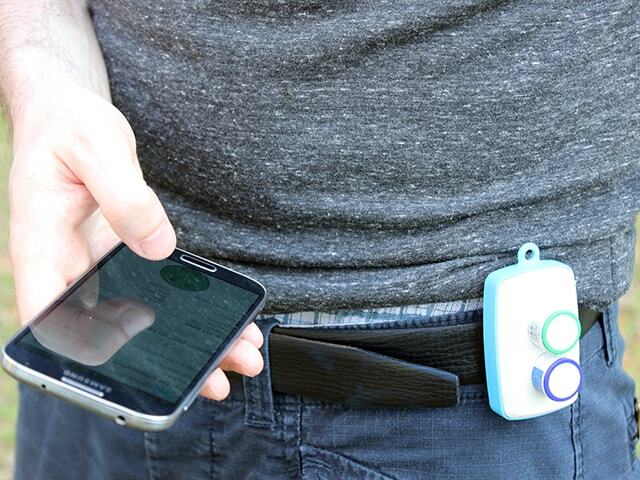 Smart-phone and sensor portraying mechanical enclosure designed for outdoor experiments. The electronic design included sensor interfaces, and signal processing and communication subsystems. 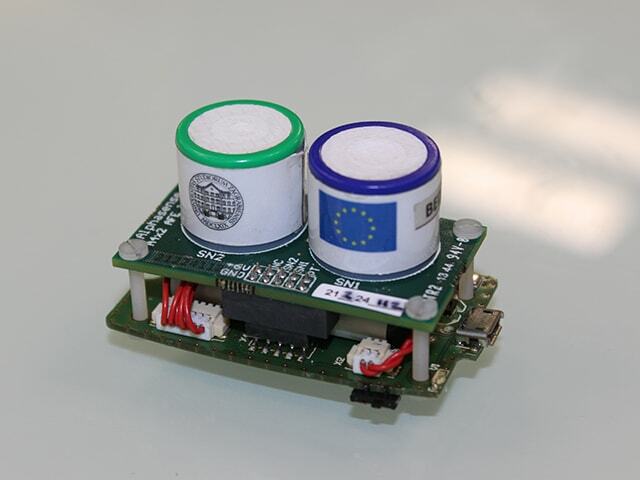 The sensor interfaces included sensor nodes pertaining to temperature, relative humidity, atmospheric pressure and electrochemical sensors for measuring the concentration of CO and NO2. The devices used were electrochemical gas sensors (A4-series, Alphasense) featuring a four-electrode design. Atmospheric pressure was measured using a digital barometer (Freescale Semiconductor). Temperature and RH were measured using the SHT21S sensor chip. 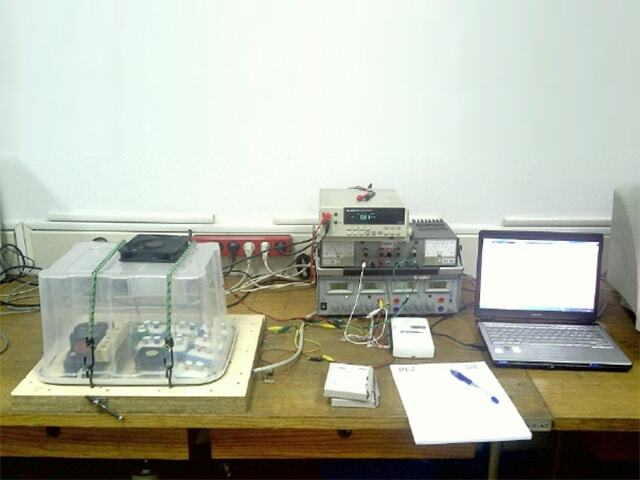 Laboratory setup with gas chamber used for the characterization of gas sensors response. 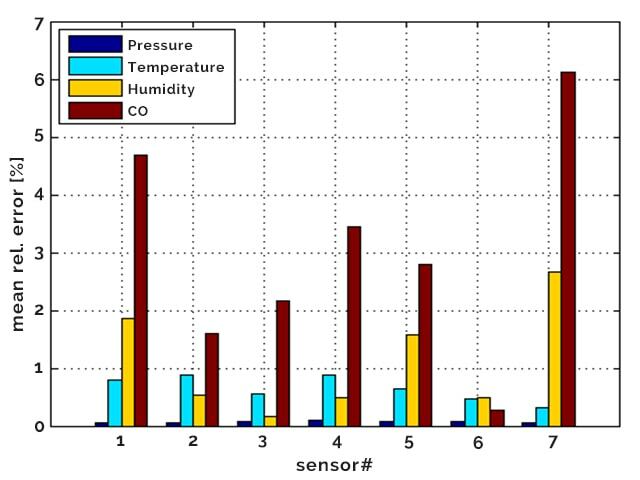 Comparison of gas concentration, temperature, humidity, and pressure measurement accuracies of tested sensor nodes. Responses of CO gas sensor response throughout measurement range, using manufacturer's calibration data. Each sensor node was individually programmed with factory-calibrated data, however further controlled calibrations were also conducted. For this, sensor nodes were placed in a sealed gas chamber to verify their response. This study demonstrated the collection of air quality and meteorological data in high spatial and temporal resolution using a distributed network of environmental sensors. The live display of aggregated data from the network on a web application was also demonstrated. Future work related to this study will entail the analysis of the data collected for a personal air pollution exposure study. The data will also be analysed in the context of other data-sets collected in the vicinity of the study site, related to traffic mobility and public transportation.